Head to Balaam’s Music now to get interest-free credit (0% APR) on all musical instruments up to £2000. This is a fantastic offer for parents buying instruments for children or if you are picking up an instrument for the first time. After the much talked about recession, Balaam’s Music saw people struggling to keep up hobbies and talents due to the cost that musical instruments can bring. This offer means you can get your choice of instrument now and get interest free credit on all instruments up to £2000, this is subject to credit clearance. 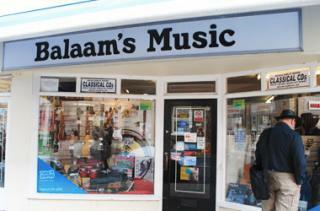 For more information head to Balaam’s Music on Risbygate Street.